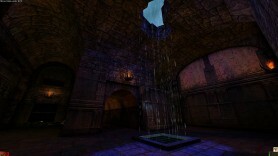 “Déjà Vu – Gryphon Revisited” was created by Team UnrealSP for the 2nd anniversary of UnrealSP.Org. The build time for version 1.0 was merely one month, and the much improved 2.0 followed a year later. The last version released was 2.01, but the original v1.01 is alwo available for download. In this map pack you are playing as J. Brie, a survivor of ISV-Kran that managed to escape from the planet. Your employer, Inuit Corporation sends you back once more to recover an important artefact. According to intelligence the Skaarj are no longer in operation on the planet’s surface, but your instinct tells you to stay alert. This topic contains 0 replies, has 1 voice, and was last updated by Archivist 14 years, 10 months ago. This is the auto-generated forum topic dedicated to Déjà Vu – Gryphon Revisited.